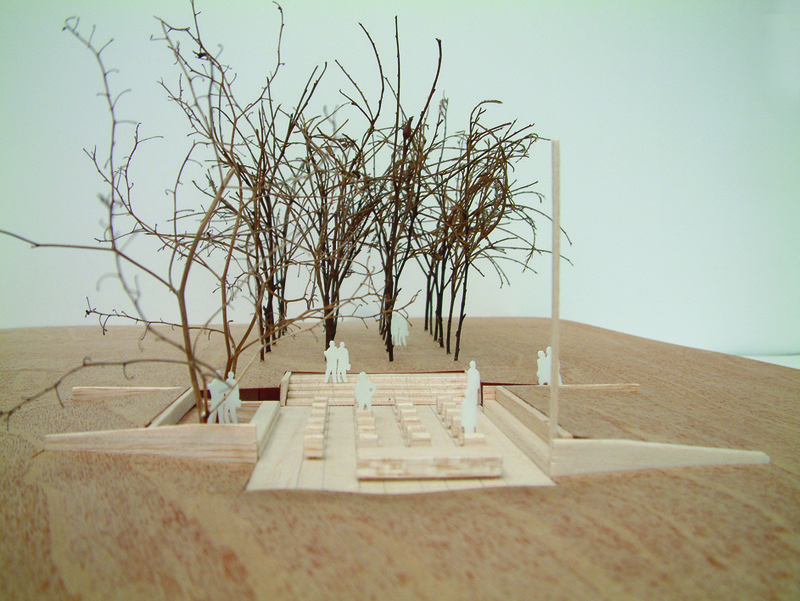 The is a competition entry for the design of a Police Memorial in Canberra, ACT. The memorial can be interpreted as a carpet cut into the hill, providing a flat surface on which are placed a grid of 24 blocks of different Australian stone, reflecting the different backgrounds of the officers who have died in the line of duty and whose names are engraved into the blocks. The quiet order of the grid and repetitive forms allows and enhances the act of reflection and remembrance. To the east, the stone blocks are paired with a stand of native trees of the same number. This combination of stone and trees sets up a simple relationship of presence and absence. The trees act as sentinels for the stones, representing an ongoing commitment to serve and protect.